We all know how important stretching is to our bodies... right? FST is an innovative Stretch Therapy Modality originally designed for Professional Athletes. Unlike Massage or other stretching techniques, FST starts at the joint capsule and focuses on planes of tissue and lines of muscles and fascia, not just individual muscles. Fascia is the material surrounding all muscles in your body. Like other tissues, fascia can become tight and less mobile. 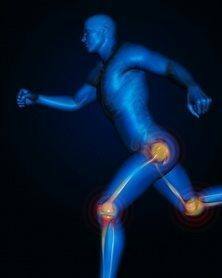 The result is decreased range of motion, discomfort with stretching, and decreased ability to recover from activity. Did you know that, 47% of your flexibility is locked up in your joint capsule, and 42% of your flexibility potential is in your fascia? By extending the stretch to the joint capsule, you increase the benefits of traditional stretching, and the assisted nature of the treatment allows for greater gains than traditional stretching. How Does Fascial Stretch Therapy (FST) Work? Stretching sequences start with the joint capsule where up to 42% of restrictions in range of motion can occur. The stretches focus on lines of muscles and fascia, not just individual muscles and occur in multiple angles and lines of movement. FST incorporates traction and movement to more effectively increase joint space and release fascial adhesions by manipulating, lengthening, re-aligning, and re-organizing the fascia which can also eliminate painful trigger points. Each session is typically 1 hour. However, clients may be seen from ½ hour up to 2 hours. Increased joint space for increased range of motion. Improved muscle activation and relaxation. Reduced injuries & improved sports performance. Improved posture and functional ability. To help relieve chronic pain. How often should I receive FST? You'll see improvement in your flexibility and posture with just 1 session, but clients who get stretched regularly see larger and longer lasting gains. For a typical treatment plan we recommend you get stretched once a week for 4-6 weeks and then taper back to once every other week, eventually transitioning to a maintenance schedule. Unlocking The Body offers Therapy Sessions which combine the best of FST with focused Manual work. The session will be approximately half FST and half Massage Therapy. The exact proportion will vary from client to client. Sessions are available in 60, 90 or 120 minute lengths. Many clients find alternating FST and Massage Therapy sessions to be very effective. Jessica Campbell is the sole Practitioner at UTB who offers FST. If you have questions feel free to email her from her bio page or call the front desk to schedule!